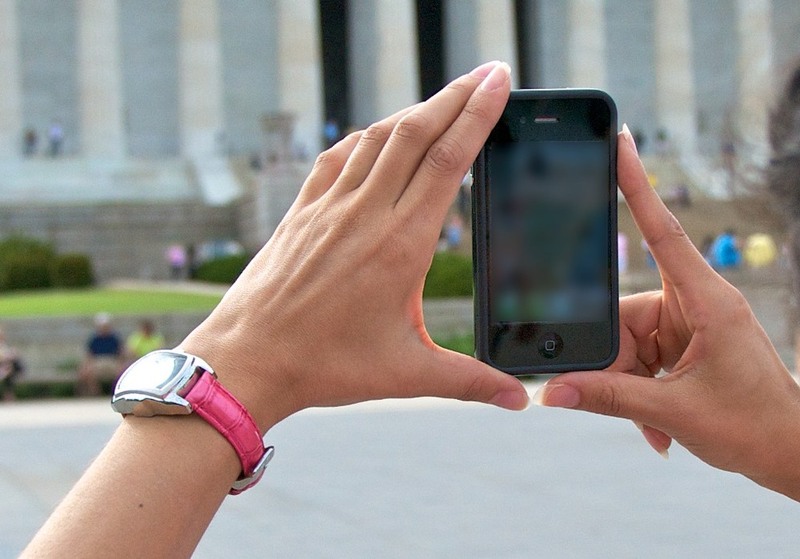 Use both hands to keep the camera phone steady.Anyone with a camera phone can take great photographs. The key is making the most of what you have. Here are some quick tips for taking better pictures. Tip 1: Be Steady – Blurry photographs are often a problem with camera phones. Combat fuzzy photos by holding the camera still, using both hands. Unlike standard cameras with a physical shutter, cell phones use software to tell the camera how long to record light coming through the lens. This can result in “shutter lag” and a greater opportunity for you to shake your hand and blur your image. Remain steady, use both hands, and reduce the chance of blurry shots. Tip 2: Forget the Zoom – It’s easy to get all excited about zoom function on your camera phone, but using the zoom can result in grainy-looking photos. Instead, get close. The closer you move to your subject, the better images you'll get. One common mistake with camera phone images is that the subject ends up being a tiny object in the distance, so fill up your view finder. Tip 3: Go for High Res – Most camera phones allow you to choose what resolution you use, so pick the highest possible option. The higher your resolution, the clearer your shot will be. If your phone has settings for file size chose the “large” setting, especially if your camera phone is less than 1 megapixel. Use your camera phone to capture the best of the capital region and enter PhotoTour Excursions’ first iLoveDC Camera Phone Contest. Upload your entry and encourage your friends to vote on your photo.